St. Francis of Assisi provides broad yet deep education, built upon a mission of service, faith and academics. Our maximum enrollment is 265, which creates an intimate, safe, and creative atmosphere that makes it possible to truly know every student. The school has remained the same size since it was built –it is intentionally small to enable individualized education. With one year building upon the next, our nine-year curriculum helps students grow academically, spiritually, emotionally, physically, and socially. 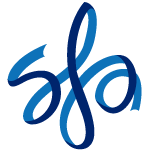 Students leave SFA as moral young adults, grounded in their Catholic Faith, with an exceptional foundation for future study, for their career choice, and for success in a technological society. Our graduates attend the area’s top high schools, and are consistently competitive with elementary students at the local, regional, and even national levels. For example, SFA students’ scores on the Terra Nova tests have been above the Archdiocese average as well as in the top 15 percent nationwide for the past several years. Guided by our Catholic Faith, we develop well-rounded, confident, and moral young people. Our students go on to become lifelong learners, and leading lights in their communities. St. Francis of Assisi is one of 36 schools under the direction of the Archdiocese of Louisville school system. We serve approximately 250 students from pre-k through the eighth grade. The school was established in 1886 to serve the German farming community just outside of downtown Louisville in what was called The Highlands. The current school building was dedicated in 1926. It originally housed a residence for the Ursuline Sisters, a temporary church, and the school. In 1952, a new church building was dedicated and the temporary church became a gymnasium for the students. The school was operated by Ursuline Sisters until the 1970s. From its beginnings as a parish of immigrants, St. Francis of Assisi has always embraced and celebrated differences while serving the needs of others. Even today, despite being one of the Archdiocese’s smallest schools, SFA accepts more tuition-free refugee students through Catholic Charities than any other school.